I purchased a hair treatment box from Sephora a while ago, which had a variety of hair masques to try out. 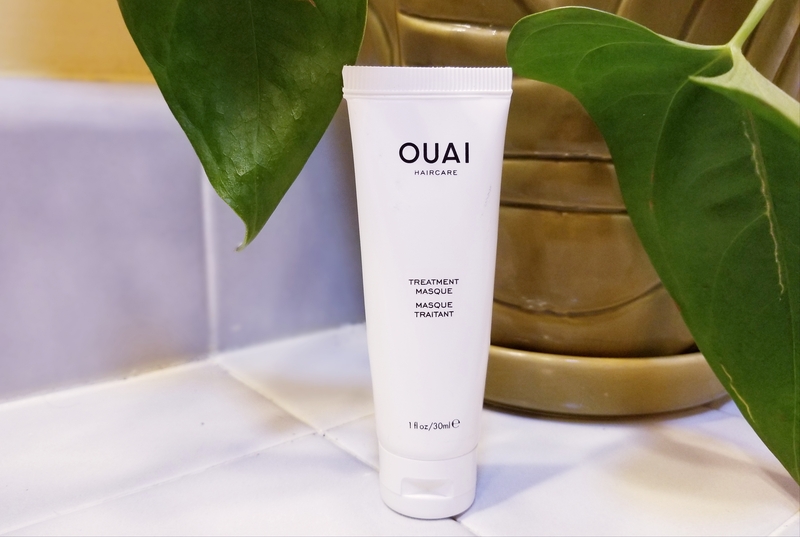 Included was a small tube of Ouai’s hair care treatment masque. I saved it for last, and am pretty glad I did so. Keep reading to find out why! While maintaining my blonde tresses, I’ve managed to do a hair treatment weekly. I purchased a sample box, because I wanted to do a trial before committing to a full size bottle. (If you are searching for a hair masque/treatment I highly recommend doing this). Within my box came a small 1 oz tube of Ouai’s hair care treatment masque. The sample lasted me three treatments. (A little bit goes a long way). I tried the treatment both on wet and dry hair, but felt it worked better on my hair when applied to pre-shampooed, damp hair. The first time I used it, it definitely left my hair feeling silky while the masque was on, when I washed it off my hair felt as though it had a protective silicon barrier, though it is a paraben-free formula. The second time I used it, the jasmine scent really hit me. And I loved it! I’m not sure why I hadn’t noticed it the first time around, but if you are a fan of floral-smelling hair masques you will love Ouai’s. You get the scent while applying it, while the treatment is on, and it washes off to a very faint remain. My third trial had me hooked. This stuff not only smells great, it also helps your hair feel soft and manageable days after you use it. When you have damaged hair, manageable hair days-after is a great thing. My only issue with Ouai’s haircare treatment masque is that the full size product comes in packs instead of a bottle. You get eight 3 oz packets for $32, which are nice if you travel often but I’d much rather have a bottle or jar of this stuff. I feel like you have to cut the little packets and wipe them on your hair to make sure you get your money’s worth. Besides that, I would definitely repurchase Ouai’s hair care treatment masques or try other products from the line.